This is the most comprehensive introductory graduate or advanced undergraduate text in fluid mechanics available. It builds up from the fundamentals, often in a general way, to widespread applications, to technology and geophysics. 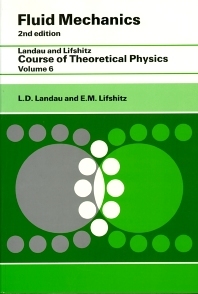 New to this second edition are discussions on the universal dimensions similarity scaling for the laminar boundary layer equations and on the generalized vector field derivatives. In addition, new material on the generalized streamfunction treatment shows how streamfunction may be used in three-dimensional flows. Finally, a new Computational Fluid Dynamics chapter enables compulations of some simple flows and provides entry to more advanced literature. Basic introduction to the subject of fluid mechanics, intended for undergraduate and beginning graduate students of science and engineering. Includes topics of special interest for geophysicists and to engineers. New and generalized treatment of similar laminar boundary layers, streamfunctions for three-dimensional flows, vector field derivatives, and gas dynamics. Also a new generalized treatment of boundary conditions in fluid mechanics, and expanded treatment of viscous flows.